Described in simple terms, the Ohio Valley encompasses a series of small towns alongside the Ohio River in West Virginia, Ohio and Pennsylvania — all of them heavily dependent on the steel industry. During my high school years, our nation’s steel industry began to collapse and with it, the economies of many of these riverside communities, among them my own hometown of Weirton, West Virginia. Weirton Steel — our city’s primary employer — fell on hard times and as a result, many families in that town joined others up and down the Ohio River who suffered major economic losses. Just across the river from my hometown lies Steubenville, Ohio, whosename is derived from Fort Steuben, a 1786 fort that sat within the city’s current limits and was named for German-Prussian military officer Baron Friedrich Wilhelm von Steuben. Today, a replica of the fort is open to the public (downtown on South Third Street). The city’s other claims to fame are its annual Christmas Nutcracker Village & Advent Market, Dean Martin Festival, and more than 25 murals scattered throughout the city. Steuben is also the county seat of Jefferson County. As an Ohio Valley native — and with the above as background — I take great pride in the work I’m able to do in this area through a long-time partnership between our Professional Development Center (PDC) and the Jefferson County Education Service Center (ESC). This educational collaboration started as a conversation between Dr. George Ash, Jr., Assistant Professor of Graduate Education at Franciscan University of Steubenville, and a local attorney contracted to teach a Bill of Rights curriculum to high schoolers. That attorney was William Galloway, who also happens to be my father. While not exactly certain as to what his daughter does at Eagle Rock, Dad suggested I reach out to Dr. Ash — who also serves as the CEO of one of 88 county school districts established in 1914 by the Ohio General Assembly — to see if there was any way the professional development work I do could compliment what Dr. Ash’s organization provides in Ohio. As a district leader, Dr. Ash’s role encompasses 10 school districts in a three-county region. Did I mention that my father is a brilliant attorney? The ensuing conversation sparked a collaboration between Eagle Rock and Jefferson County’s Education Service Center — and since that initial meeting in 2014, we’ve collaborated on a number of projects. Among them was a meeting with Linda Lenzi, coordinator of Gifted Services at the ECS, who asked about the possibility of providing professional development for the Related Arts instructors across seven school districts in Ohio. I asked our art instructional specialist Cindy Elkins if she’d like to be my co-facilitator for this project, and she happily agreed. So, what exactly is Related Arts? Basically, it encompasses anything that is not a core content class, such as math, science, history and English language arts. In other words, related arts include art, music (choir and band), world language, physical education, business courses, “home economics” classes, as well as the work of guidance counselors, multi-media and library personnel. Typically, instructors of core content classes have teams that meet regularly, while related arts instructors often find themselves as perhaps the only educator in their building teaching their content area. In addition — and unfortunate — many school districts provide only limited support and resources within the field of related arts. 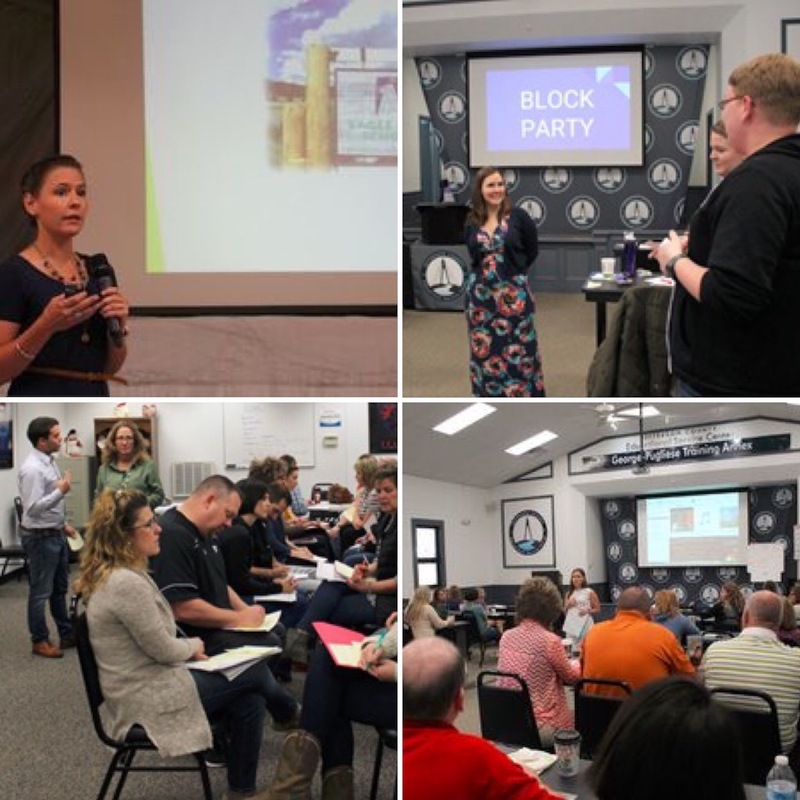 Our idea was to organize related arts instructors from across the seven school districts to come together three or four times a year for an entire day focused on professional development. For the past three years Cindy and I have supported the related arts instructors with specific, targeted, and meaningful professional development. During our first year together, we did a deep dive into project-based learning. The best part about working with the related arts instructors is it’s not a stretch for them to come up with their final real-world project for their students because it’s already built into most of their curriculum. Art exhibitions, marching band competitions, concerts, and sporting events are all real events that display student work and serve as a way for students to showcase what they’ve learned. We launched from project-based learning into a two-year exploration around differentiation within their classes. Our work together has been a deep dive into what is differentiation, approaches for differentiating instruction, and how related arts instructors can differentiate their assessments. This year Cindy supported the teachers in collaborating across the school districts to craft “criteria for success.” This checklist, if you will, can be used while instructors develop their own differentiated lesson plans. Cindy even took the art criteria for success in planning differentiated lessons back to use in her own lesson planning here at Eagle Rock School. Through surveys, instructors consistently express how appreciative they are to have a program tailored to their needs, along with follow-up to ensure proper implementation of learned approaches to achieving objectives and goals. Cindy claims that being in community with public school-related arts instructors is an amazing opportunity to share what she’s doing in her classroom and learn from what others are doing in their spaces in Ohio. As a result, she has been able to personally create cross-disciplinary classes using differentiated instruction and assessment with other art teachers. She has also spearheaded the gathering of lesson plans from across Eagle Rock’s “related arts” team that includes World Language Instructional Specialist Josan Perales, Human Performance Instructional Specialist Jannai Smith, and Music Instructional Specialist Meghan Tokunaga-Scanlon. Here’s the beauty of Eagle Rock’s collaboration with the Jefferson County Education Service Center: We find ourselves able to provide customized professional development for related arts instructors across seven school districts and tailor those sessions to meet the needs of the educators. Throughout the four-plus years we’ve worked together, those instructors have been able to build trust and community with fellow content area teachers. As a result, they are creating resources and materials that are beneficial to their direct day-to-day instruction. Most important: These instructors — frequently the only art or physical education or music teacher on campus — are able to come together and share the challenges, struggles, and successes of their instruction. And they have the opportunity to comfortably bounce new ideas off of each other. Cindy’s expertise in teaching within the arts — both here at Eagle Rock School and in the public-school system — has been an important value-add to our project. It has helped build community within an essential group of Ohio Valley teachers as we all work together in creating a related arts program that is relevant and engaging for all students. 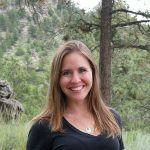 About the Author: Anastacia Galloway Reed is a professional development associate at Eagle Rock School and Professional Development Center in Estes Park, Colo., where she works with schools and organizations across the country to reengage youth in their own education. This entry was posted in Professional Development Center and tagged Anastacia Galloway Reed, Cindy Elkins, Dr. George Ash, Jannai Smith, Jefferson County Education Service Center, Josán Perales, Linda Lenzi, Meghan Tokunaga-Scanlon, Ohio Valley, Related Arts, William Galloway.